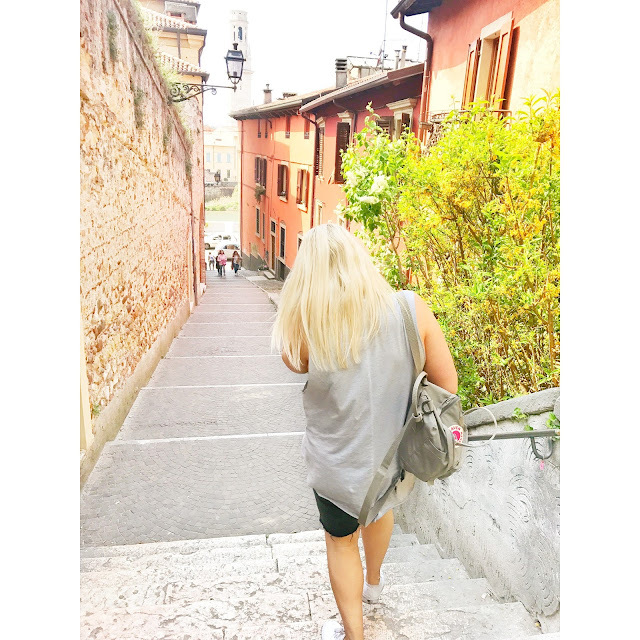 Prior to exploring the beautiful Italian city of Verona, I had never read Shakespeare’s Romeo and Juliet. 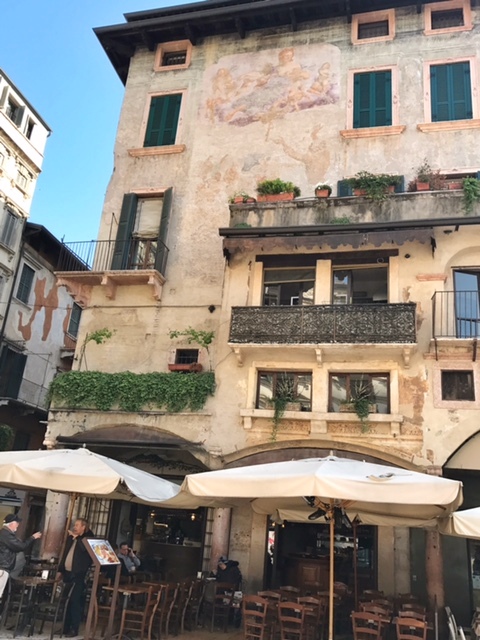 Even though the star crossed lovers were purely fictional characters, the romance that is a fixture of Verona can be felt throughout every corner of the City. Beautiful surroundings, wonderful food and soaked in culture, Verona is everything I wanted Italy to be and more. 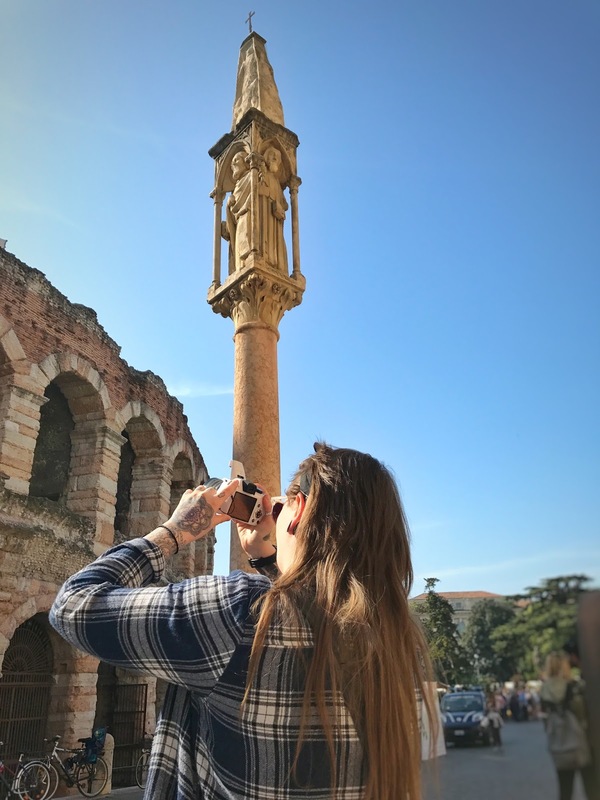 My first glimpse of Verona immediately left me feeling excited for what the city had to offer. 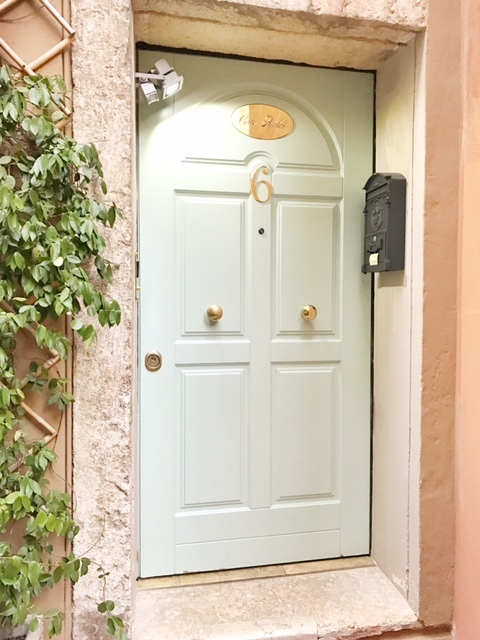 The sun shone against the cloud free, blue sky and the buildings of amber, alongside pink marbled floors immediately gave the city a true feeling of opulence. 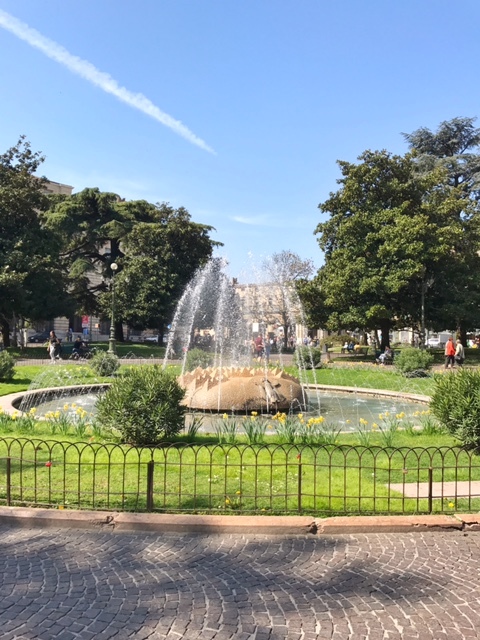 A short two minute walk from the hotel is Piazza delle Erbe, an ancient square usually home to a market (except for Sundays!) and surrounded by hotels and bars. 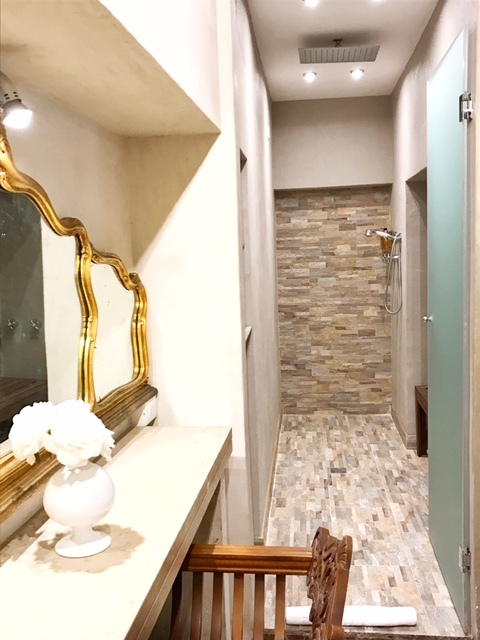 It dates back to the roman empire and has a real feeling of authenticity. This area was even more beautiful and charismatic at night time, with the centre piece of the square being a fountain built in 1368 by Cansignorio della Scala. 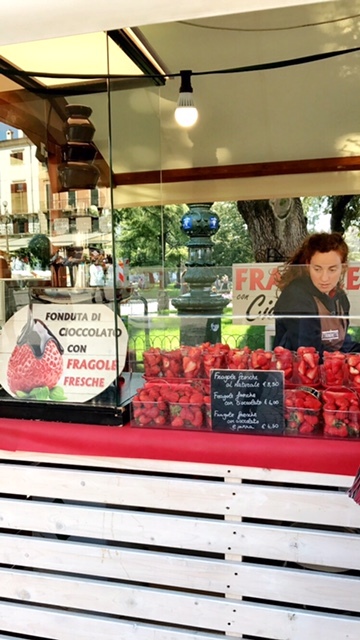 At the heart of the city is Piazza Bra, the city square lined with restaurants and market stalls. We sat down and looked out over the square whilst sipping an iced tea. The sun already felt like it was reddening my skin and sunglasses had already made an appearance! According to my iPhone the temperature was around 21/ 22 degrees for the next few days which was perfect. The weekend we were visiting also happened to be the city flower show, so the square was adorned with beautiful flower stalls selling everything from brightly coloured flowers to lemon trees. Piazza Bra truly looks like a film set, adorned with pretty market stalls and fountains, all against the beautiful backdrop of the Arena. 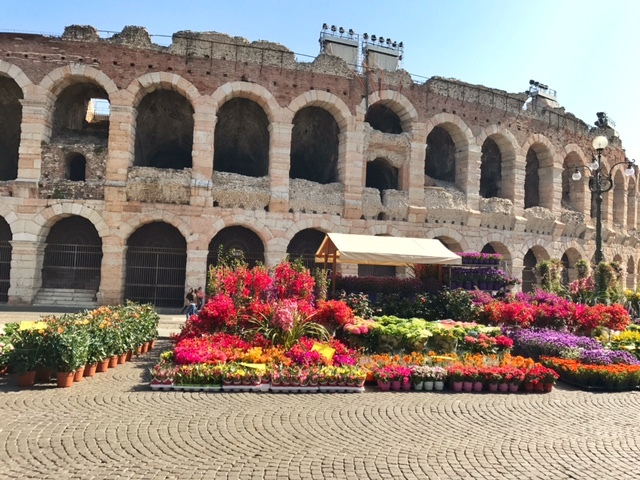 Right opposite Piazza Bra is Arena di Verona which was built around 2000 years ago and is one of the biggest attractions in the city. 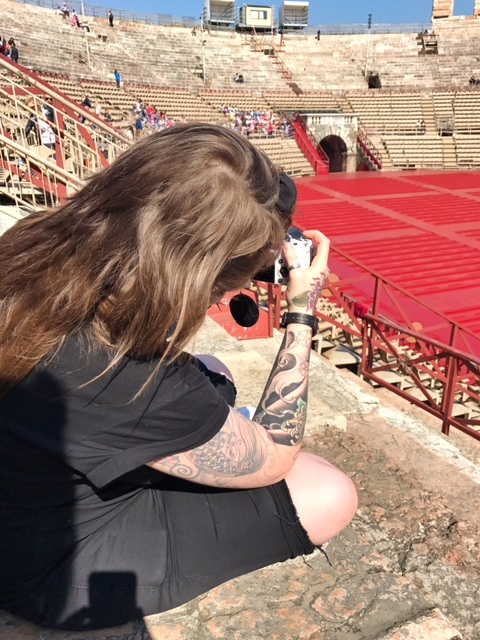 The building is Italy’s third largest roman amphitheatre and although today houses opera performances and music shows, you can still faintly see the roman numerals above the gates where the gladiators would have stepped out in preparation for battle. I can safely say I nearly broke several limbs climbing back down the huge steps after being seated in the sunshine for a while! Clumsy isn’t the word. 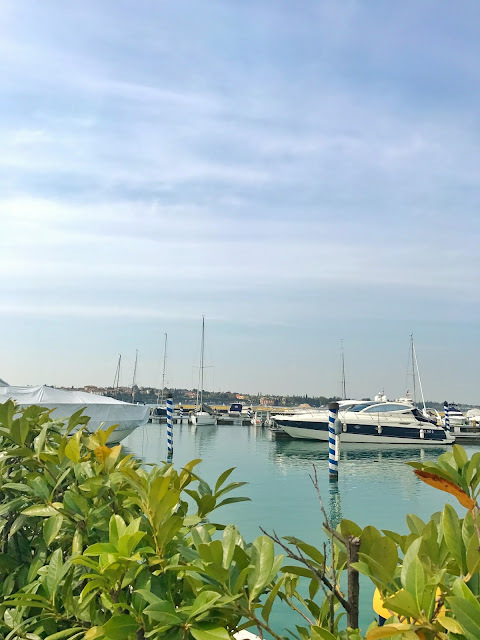 Continuing down past the arena, you are greeted by the luxurious shopping district of Via Giuseppe Mazzini. Home to Gucci and Louis Vuitton, you can find all the large luxury brands but also some of the more affordable, high street Italian labels. The streets are lined with a pink marble floor and swarms of shoppers tasting gelato swerve in and out of stores. I purchased a few items from Sephora including a lipstick and some sheet masks. I managed to spot one or two “tat” stalls down here where I picked up some keyrings and fridge magnets as souvenirs for friends and family. 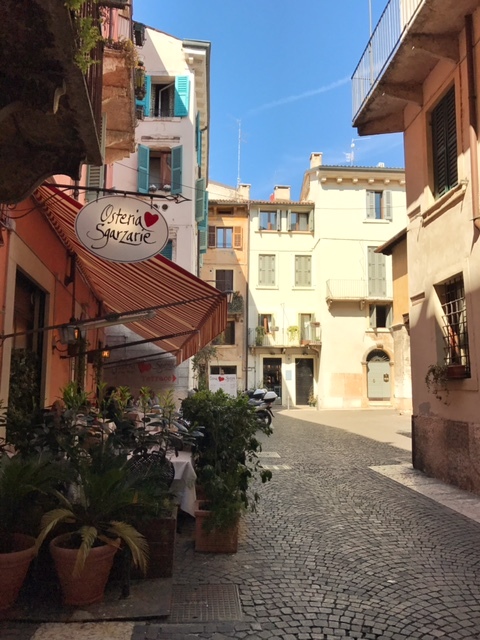 The restaurant we visited on our first evening was in Piazza Bra but was set back slightly, situated down an alley and although feeling quieter, still had beautiful views over the square. 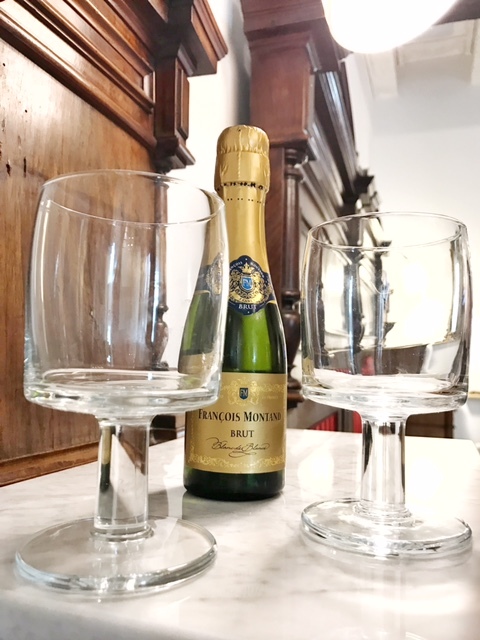 A complimentary glass of Prosecco was bought to our table and we also ordered a lovely bottle of their house wine. 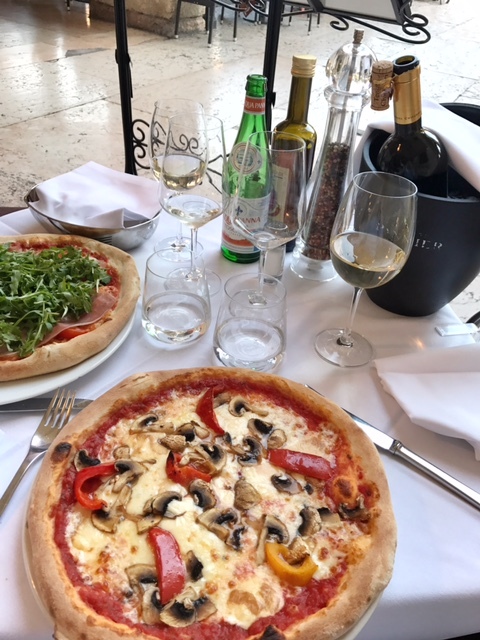 The pizza here was simply beautiful – thin and not at all stodgy, flavoured with fresh tomato, basil, garlic, mushrooms and peppers. I had to leave some of my pizza and it definitely pained me to do so! Wine, pizza and a dessert only totalled around 50 euros for us both which I felt was very reasonable. We were up bright and early and ventured to a café on Piazza Bra for an omelette, fresh orange juice and cappuccino breakfast which came to around 12 euros. Hopping in a taxi, we made our way to the train station ( we probably could have walked but we were unsure of the distance and exact location so caught a taxi which only cost around 8 euros). On arrival at the station we were baffled with all the times and trains going to different points at Lake Garda. There seemed to be quite a long wait so we decided to go for a bus and were baffled when we had to queue for a ticket, to buy a ticket!? The bus only cost 12 euros return for both of us, even with the journey to Lake Garda taking an hour. 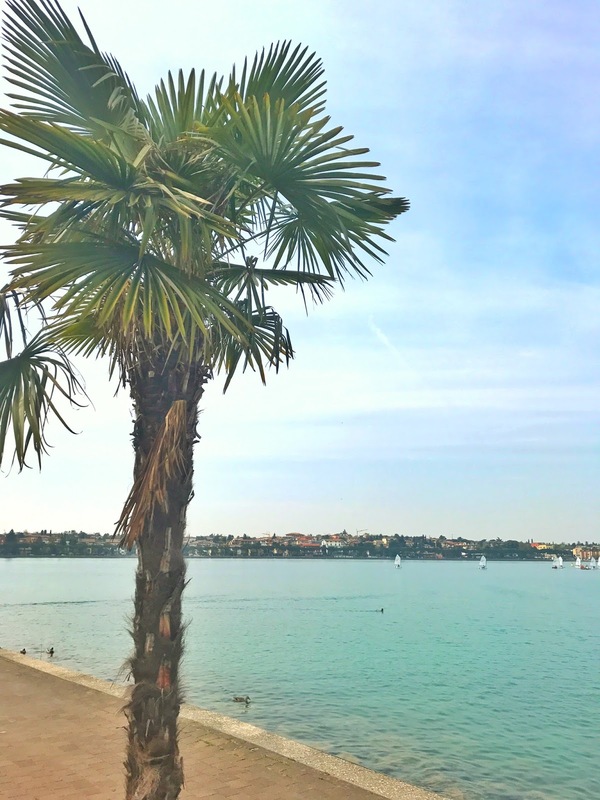 On arrival at Peschiera del Garda, we strolled beneath palm trees past swans and ducks passing through the clear turquoise waters of the lake. It still is difficult to comprehend it is a lake, appearing so vast and not at dissimilar to the ocean. Finding a quiet lakeside lunch spot, we stopped off for some food and ate toasted sandwiches accompanied with the local bright orange spritz drink of Prosecco wine and the liqueur Aperol. On appearance it looks as though it will be a sweet, fruity drink but it is actually surprisingly strong. Following another stroll near the lake and the nearby shops, we headed back for the bus. That evening we opted for a different restaurant on Piazza Bra and although the food was lovely, it didn’t beat the meal from the first evening. Pesto spaghetti and bruschetta is always a good option though! After the meal, the waiter left two large jars of sweets on the table for us to help ourselves to which I thought was a lovely touch. 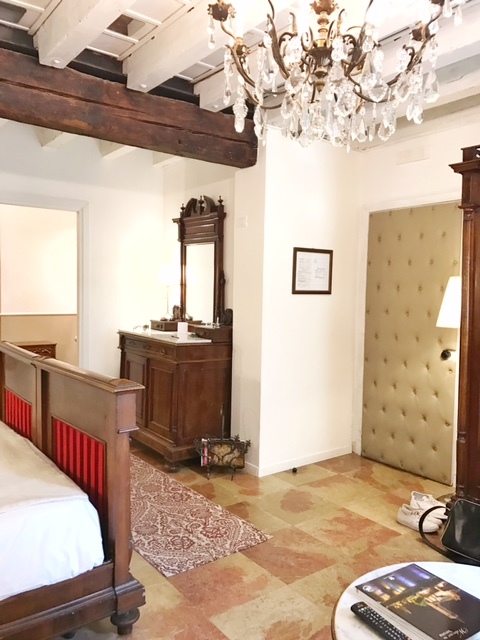 Casa di Giulietta (Juliet’s house) is one of the most popular attractions in Verona and was the home of the Capello (similar to the name Capulet) family in the 13th century. Although Romeo and Juliet were created from Shakespeare’s imagination, there were two feuding families around the time and so this is where his tragic love story is based. 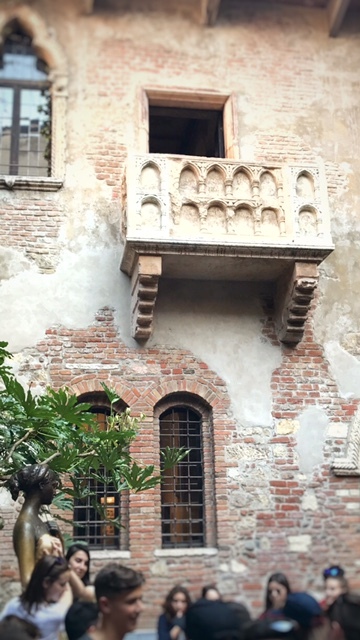 The house is now a museum and there is a fee to enter, but the courtyard which houses a statue of Juliet and the famous balcony are free to visit. The wall opposite the statue is littered with gum and graffiti (if you write yours and your partners name it is meant to bring luck) and apparently if you stick gum to the wall you can be fined 500 euros. If you are lucky enough to be able to get near the statue, tourists touch Juliet’s right breast to bring luck. 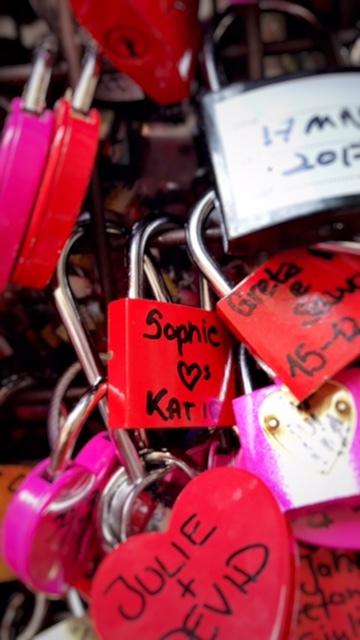 Although it was sweet to visit, I found this whole attraction somewhat of a money spinner, but we did purchase a “love lock” to attach to the gate near the balcony from the nearby shop selling all of the Romeo and Juliet merchandise. When in Rome right? 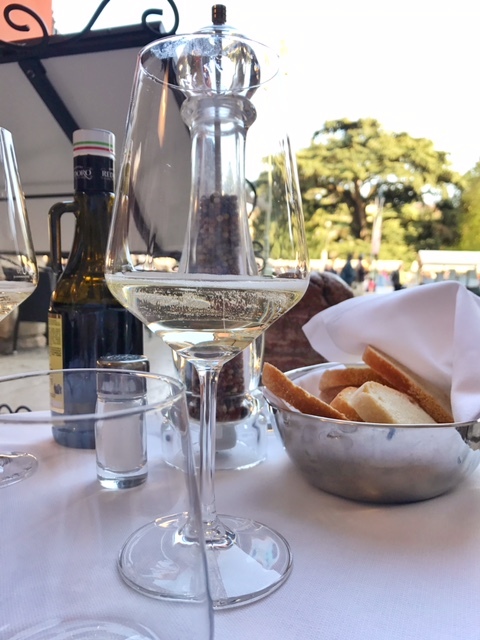 Or in this case, when in Verona! 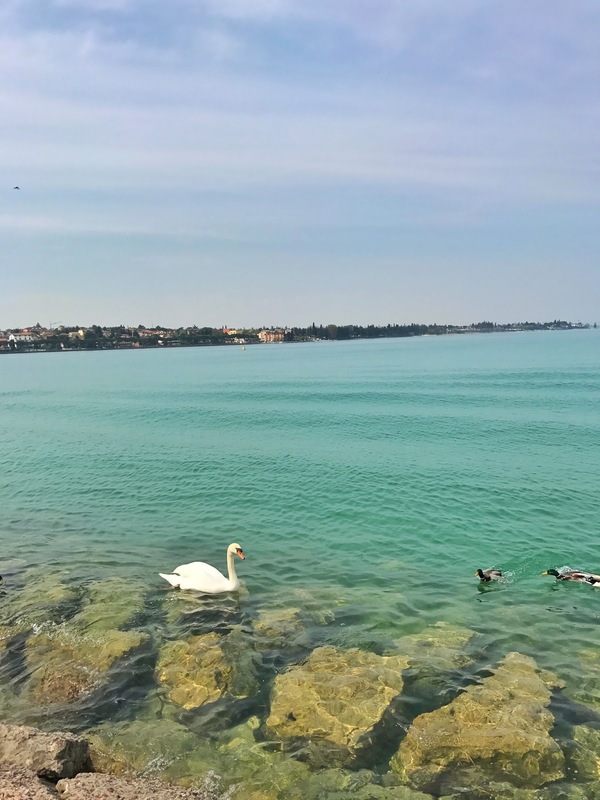 As this was our final full day in Verona, we decided to take a trip via the shuttle train to see some of the sights in the city that we hadn’t yet seen and to gain a better understanding of where things were. We ate breakfast in the sunshine before crossing the square to await the train, which arrived every 25 minutes and cost only 5 euros for a 25 minute tour. Although the sun was shining and it was again around 22 degrees it was chilly riding the open train through the streets but we discovered so many sights we hadn’t yet discovered. Once the tour had finished we immediately set off on foot to explore some of the sights we had seen on the train. 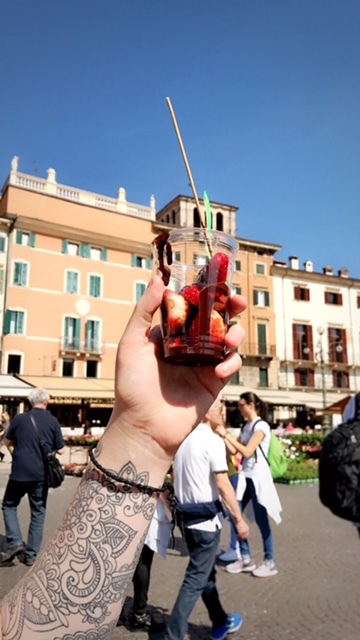 We strolled through the streets and after treating ourselves to some gelato (shaped like flowers – how cute!) we continued on to the two churches in the area, San Pietro da Verona in Santa Anastasia and Chiesa di San Fermo Maggiore. Both of the churches are Catholic and contain stunning Romanesque, gothic architecture that is simply beautiful and can be admired even if you are not religious yourself. The stroll along the river in Verona is a definite must and the photo opportunities are just too much to pass by! We walked up around 200 steps, maybe more to the highest view point of the city and enjoyed cocktails at a modern looking bar situated at the top of the steps. 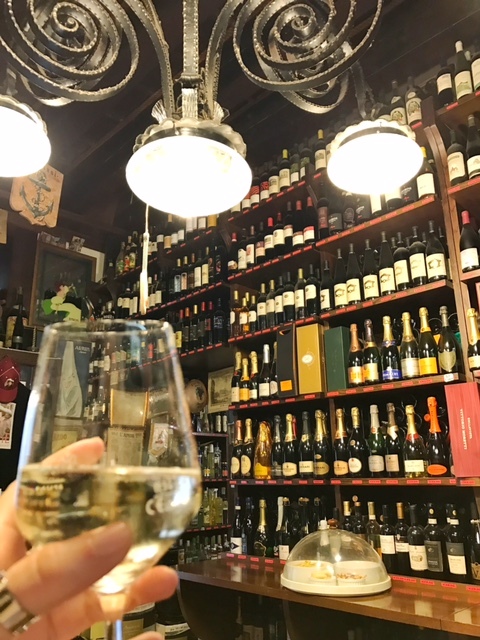 We strolled back past more shops and restaurants through a Roman market in the Piazza delle Erbe, which featured some beautiful local food and handmade gifts. 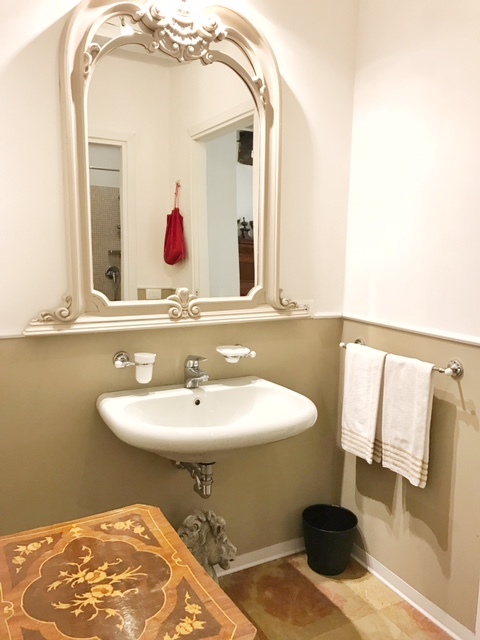 Castelvecchio (which translates to “old castle”) is located in again a short walk into the city and is a castle built in the middle ages (1354). The building itself is impressive and previously had a surrounding moat that is now drained. 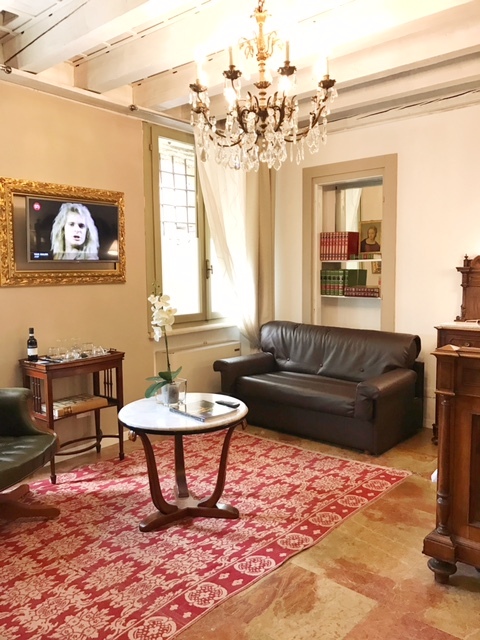 The castle has been restored over the years and is now home to a museum containing Italian art and relics. On the first Sunday of every month it costs only 1 euro for entry. 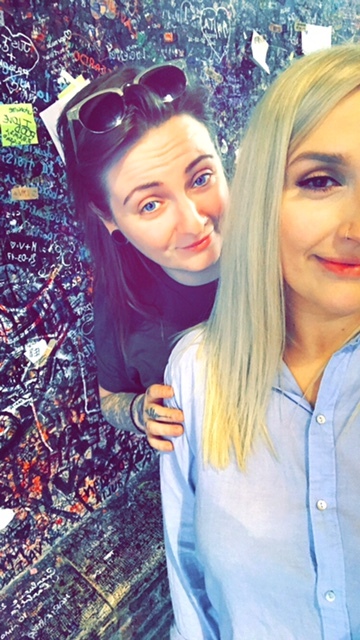 For our final evening in Verona, we returned to our favourite restaurant to drink wine and eat pizza. It was a perfect end to a perfect break and I cannot wait to discover more wonderful cities in Italy.